Turning 20 is a huge milestone! It can also be a really tough and confusing time. You’re stuck in a limbo between teenager and adult, still discovering yourself and working out where you want to go in life. 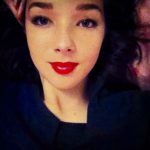 It seems rather daunting as you exit your teenager-dom to grow up instantly! You forget that you’re still so young and have plenty of time to mess up, try something new and start over! 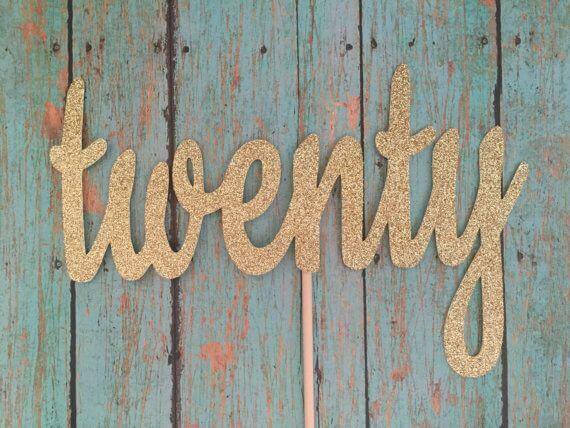 So as you enter your twenties, check out these 15 things that remind you, it’s ok! You’re not a bad person. If anything doing things for you is only going to help your development process. Focus on what you want, say no to things if they aren’t beneficial to your growth. That being said, you still have to treat people with respect always and put others first when they need it. But in this period of growth, putting your needs first will help you nurture and realise what you want from life and how you can go out and get it. 2. It’s ok to change your mind. Yes, it’s scary realising you’ve picked the wrong degree or are working in an industry you’ve since learnt isn’t right for you! But you have so much time and energy! Try out as many things as you need to! Exhaust your options! The only thing it will do is broaden your horizons, gain you more qualifications and teach you more things than you wouldn’t have learnt otherwise! Don’t panic! Don’t feel guilty about enjoying yourself. OK, maybe you should have finished that essay instead of hitting the club, but you will never have more free time and less responsibility than you do now! Not to mention the energy to bounce back! Nights out will hit you harder the following day as you get older! So have fun now! 4. It’s ok to not know what you want to do. Between the ages of 13 and 20, you are forced to make decisions about the rest of your life very quickly. Not only are most people ill-equipped to make these choices so young, but the pressure put on you by outside influencers can be daunting and untrue. Lots of people have no idea what they want to do and where they’re going in life, even at 30! Use your twenties to work this out and build the skill set necessary! You’ll be fine! 5. It’s ok to fall out. In your life, people will come and go. Learning how to coordinate people and situations comes from experience! So if you have an argument with your friends or significant other, learn from it and fix it. Additionally, losing friends is also part and parcel of growing up. Think of it like this, you’re not losing friends, you’re finding out who the real ones are! Stop thinking of things as petty and look at the deeper meaning! You don’t like everyone and everyone isn’t going to like you. That’s life! Stop worrying about what others think and work on making your current relationships the best they can be! 6. It’s ok to not be in a relationship. The pressure put on you by your friends to find a mate can be draining and deprecating! Words like “frigid” are thrown around and you can begin to question why you haven’t found someone yet. Is there something wrong with you? Not at all! Remember these are your most selfish years so focus on you! Having a partner isn’t about status, it’s about finding someone who makes your life brighter and supports and cherishes you! The right person will come along in time, so don’t sweat it! 7. It’s ok to live at home. Just because you live with your parents/guardians does not mean you aren’t a fully functioning adult! Many millennials are still living at home at 20! Affording a place of your own is only getting more difficult, so be thankful for the pit stop and save those coins up! 8. It’s ok to be “unemployed”. By this I mean it’s ok to not have a consistent wage! Experience in the field you are interested in looks much better on your CV than a cashier job at the local supermarket and a lot of experience doesn’t come with a wage! So take those unpaid internships, you might live on bread and water now, but you will be much better off in the long run. 9. It’s ok to take some time out. Go travel, see and experience things without guilt that you should be working! You can learn a lot from it and you won’t have this much time in later years! Your 20s are for you, so if you want to go backpacking, do it! In fact, I’d recommend everyone goes travelling at least once in their twenties! Think of the memories! 10. It’s ok to drift. No 20 year old is settled! You want to leave everything behind and move someplace new? Take the risk! The longer you stay somewhere the more settled you get and the less likely you are to move on, even if you hate it! So if you are discontented with your current setup, find a way to change it! 11. It’s ok to reject people who don’t deserve a position in your life. Stop worrying about hurting peoples feelings. If someone is poisoning your happiness let them go, no matter your history with them! Surround yourself with supportive people who make you feel good about yourself and who you can also do the same for. In your life, you will meet many people undeserving of your fabulous nature, so learn how to spot a wolf in sheep’s clothing and move on from them constructively. 12. It’s ok to stay up all night. As you get older, you’re going to need more sleep. Cherish these sun up moments with your friends, make the most of late nights, you only get so many! 13. It’s ok to not have a plan. Don’t you just hate when people ask you about your five-year plan? Take the pressure off of scheduling instead, write a bucket list of what you would like to do, free of any time constraints! It’s amazing what you can achieve in a matter of months, let alone a decade! Stress is one of the biggest things that holds people back, remove it if it’s not necessary! 14. It’s ok to not be ok.
Life is hard. It’s completely gruelling at times. If you’re anxious or depressed or even angry, you’re not abnormal! You just need to find the right coping mechanisms! Maybe speaking to a therapist might help? Writing a journal? Exercising? Once you’ve found what you need to ease your burdens, you’ll begin to find everything gets better! 15. It’s ok to fail. The perfect time to fail is now! Don’t worry if you hit a setback, you have plenty of years left for victories and they will come! But you’re 20, you’re still so young!